In his youth, Shihan Kreh initially became intersted in the martial arts as a result of his passion for sword and sorcery/science fiction novels. A few years later, when Shihan Kreh was attending high school, his friend Greg Scheuer was involved in karate and tried to get him involved, but martial arts was not yet on his personal radar. 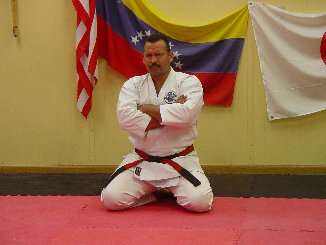 Shihan Kreh later worked with Scott Snyder, a second degree black belt in Isshin Ryu karate. Scott agreed to teach Sensei, but joined the navy shortly thereafter. 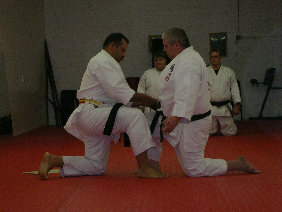 Shihan Kreh then went to take lessons at the Findlay Village Mall. There he met Soke Nowlhas Caseres, where he began his training in earnest. 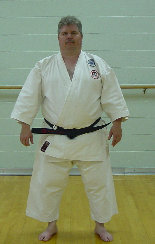 Shihan Dave trained for 5 years to get his black belt. During that time he saw the difference Soke Nowlhas Caseres was making in the lives of his students, and this inspired him to start his own dojo. 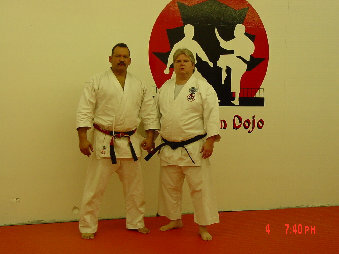 Shihan Dave Kreh received his black belt from Soke Nowlhas Caseres of Kihaku Dojo in Findlay Ohio, and with Shihan's blessing and some guidance, Shihan Kreh decided to open Jicho`oshin Dojo. Arrangements were made with the local YMCA to rent space on Friday nights, and in August of 1998, a dojo was born. 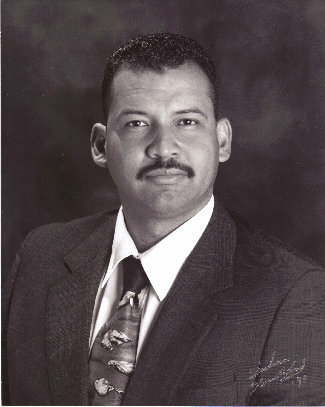 Shihan Dave founded the dojo based on the idea that you must respect yourself before you can respect others. Self respect comes from knowing your accomplishments and some of your capabilities. Shihan Kreh saw that he and the school community were making a difference in the lives of the students, and felt the drive to take the dojo to the next level. Shihan Kreh was also working full time at another job, but felt a strong need to make his teaching of martial arts into a career. After a lot of soul searching, and negotiations with his wife, Lisa, Shihan Kreh's life took a new direction: Jicho`oshin Dojo would be a full time operation. After much work and planning, A Grand Opening Celebration was held at 253 E. Lytle St. Fostoria, OH 44830, on September 14, 2007.